Competitive Homeowner Loans - £3,000 To £250,000. Use The Money For Virtually Any Purpose. Repayment Terms Of 3 to 25 Years To Match Budget. No Application Fees & Free Quotes. Taking out a secured loan is a big decision so to avoid any pressure we will furnish you with a no obligation personal & confidential quotation for free - giving you all the facts and figures up front. We believe this should always be the case for any of our customers, so you can then decide whether to go ahead or not when you want to, be it straight away, a month down the line or not at all – the choice is yours. To get your free quotes on loans between £3,000 and £250,000 fill in our short no credit search on line enquiry form or call and speak to our UK based loan team on 0800 298 3000 (free phone) or dial 0333 003 1505 (mobile friendly). Please bear in mind secured loans are more flexible when it comes to your credit history or employment status. Even if you have been declined elsewhere we could still help you . Perhaps it was because you are self employed, have no credit history or have unfortunately incurred some adverse credit? - You may still have loans available to you. Some of our homeowner secured loan lender plans are illustrated below. Representative APRC`s each table example is based on a £30,000 loan over 15 years with any processing and lender fees added. 7.1% APRC Low Rate Loan. Borrow £30,000 over 180 months. 24 payments of £243 at 5.25% then 156 payments of £240 at 5.00% (variable). Total payable £46,440 with a £2,975 intermediary fee and £455 in lender fees. Representative example : borrow 30,000 over 72 months with monthly repayments £679.90 with a total payable of £49,949 including a £2,975 intermediary fee and a £995 lender fee. 20.1% APRC. Homeowner secured loans have been around for many years and are often referred to as a second mortgage and are also termed homeowner loans or home loans. Secured loans are mainly accessed through finance companies as the UK secured market place lenders do not generally have branch networks or the staffing levels to deal with the public directly. They have traditionally been used by consumers to fund home improvements / a major purchase, or to consolidate (also known as refinance) credit commitments into a more manageable payment and ease their cash flow. Although these reasons are the most popular to take out secured loans people can and do use them for almost any purpose, such as; buying a new car, taking a once in a lifetime holiday, funding a wedding or even cosmetic surgery. Who Can Apply For A Homeowner Secured Loan? To enter into a secured loan agreement you have to be an adult (over the age of 18), resident in the UK and be a homeowner. The secured loans can be on buy to let properties as well as your residential home, so you can use a property you rent out to look into a secured homeowner loan. It is important to realise that having a mortgage on your property does not mean you will struggle to get a homeowner secured loan. All applications will be considered on an individual basis and as any quotes are free you can simply get in touch via the telephone or the website and see what is available to you without any commitment to proceed at all. Why A Secured Loan And Not A Re Mortgage? When you decide to release some equity from your property it is probably worthwhile at least looking into both secured loans and remortgages. The loan can be an alternative to re-mortgaging your property if you find that you have high early repayment charges or you wish to have the loan as a separate item within your budget, possibly over a shorter repayment period. So if you are ``tied in`` or have a costly redemption penalty but still need to borrow money, a secured loan may help. Loans are available for any legal purpose, many people use them for debt consolidation, funding major home improvements such as buying a conservatory, building an Orangery, installing a loft conversion, getting a new fitted kitchen or refurbishing a bathroom. All of these are fairly popular reasons but any lawful purpose is generally going to be OK, if you are not sure please feel free to give us a call and check. All of our customers are treated with the utmost respect for their privacy. How Much Can I Borrow And Over How Long? 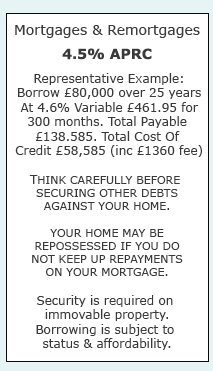 You can borrow from as little as £3,000 to around £100,000. 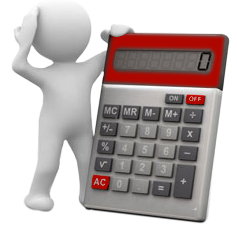 The amount you may borrow is dictated by a number of factors as with any loans, however we would suggest you should always borrow the minimum you need to achieve the loan purpose. In terms of paying back, you can spread the repayments from just 5 years to 25 years depending on your individual requirements and circumstances. What If I Have Or Have Had Credit Problems Including Mortgage Arrears, Ccjs, Missed Payments Or Defaults? The first thing is to be open and tell us day one what credit issues you have had and when. We have plans to help people with Good, Fair or Impaired credit histories, so we will always try dig out the best product for you from our panel of lenders based on your circumstances. Some of our clients have had problems and thought nobody would be able to help as they were turned down for a secured loan, personal loan or mortgage elsewhere, but we still managed to assist them. What If I Want To Pay The Loan Back Early - Are There Any Early Repayment Penalties? The secured homeowner loans for personal use were regulated by the Consumer Credit Act and now the Financial Conduct Authority . There are rules for calculating early repayment charges. This currently means the maximum interest that can be charged on paying back the loan early is just 2 months, however this may have changed since publication of this content so please ask for details. You will be informed of any other charges or fees that may apply before the loan is completed. It is important you read any documentation sent to you carefully and contact us if you have any queries at all. What Interest Rate Will I Have To Pay? As with just about all financial borrowings, the rate will all depend upon your personal circumstances. Our plans will take into account key factors such as your age, income, credit history and your ability to repay the loan. For secured loans our lowest plans are at around 5.9%APRC, with a range going to an absolute maximum of 59.9%APRC for those with very poor credit files. As any quotations are provided for free, we suggest you give us a call or apply on line and we can give you the figures, you can then choose whether to go ahead or not. Borrowing money can be a big decision for many people, so it`s important that you find the best secured loans for your individual circumstances, even if your credit history isn`t the best you may still get the help you need. 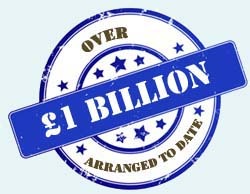 The good news is that Bank of England statistics show that the availability of secured finance increased markedly in the second half of 2012, suggesting that finding the best secured loan deal for you could have become easier to do. Secured loans are taken out by people with both good and impaired credit histories. The money raised can be used for virtually any legal reason – perhaps you want to invest it into your home to give it a more spacious modern feel, whilst also having one eye on a potential increase in any future sale price. On the other hand, you may plan on using your home loan for refinancing your outstanding credit and debts. That means your credit cards, store cards and car finance loans can be paid off, leaving you with one more manageable repayment, although interest payments may be higher over the course of the loan. With this in mind, getting the best secured loan rates is key and if you come to First Choice Finance to look for one, we will scour our multiple lenders and provide you with a no-obligation for your individual circumstances. Because it`s on a no-obligation basis and all quotes are free, if you`re not happy with the deal you can walk away at any time before the loan completes. To see if we can offer you the best secured loans for your situation, get in touch with First Choice Finance today – fill in the short form on line or call on 0800 298 3000 from a landline, mobile users call 0333 0031505. Rates From 7.1% APRC Representative Example £30,000 over 72 months @ £679.90 repayments. Total payable of £49,949. 20.1% APRC including £2,975 intermediary fee and a £995 lender fee. Loans secured on property. First Choice are tied to certain loan providers. Total Payable £138,585. Total Cost Of Credit £58,585 (incl £1360 fee). First Choice are tied to certain unsecured lenders. Been Declined For A Loan? Looking for an unsecured loan First Choice Finance can give you access to a selection of personal loans that can be used for almost any purpose with unsecured loans for good fair and poor credit histories.